Founded in 2004 by Bishop Mitchell Taylor, Urban Upbound (formerly East River Development Alliance) is an innovative community development organization with the mission of breaking cycles of poverty in New York City’s public housing neighborhoods. Across its sites in Long Island City, Astoria, East Harlem, and Far Rockaway, Urban Upbound serves 21,000 individuals annually, providing comprehensive, integrated programs, including employment services, financial counseling, income supports, community revitalization, and banking services through the Urban Upbound Federal Credit Union. Urban Upbound made its debut in Far Rockaway, following the devastation of superstorm Sandy in 2014 offering critical support services to community residents. In 2016, Urban Upbound opened a full suite Far Rockaway office at 1907 Mott Avenue. The Far Rockaway branch provides employment services and financial counseling geared towards both youth and adults, as well as income support services such as free tax preparation. “Urban Upbound is excited to serve as an important resource to youth in Far Rockaway, providing services, supports, and opportunities that help them transition into the 21st-century workplace,” said Urban Upbound CEO Bishop Taylor. One of the highlights of Urban Upbound’s work in Far Rockaway is the Youth Career Pathways program, which provides young people, from 18 to 24 years old with one-on-one job readiness training, resume support, career counseling, and interview practice. Since the program launched in April 2017, several Far Rockaways youth have entered into career paths in the city’s most booming sectors, including construction, customer service, technology, and security. To compliment employment services, Urban Upbound offers financial counseling and workshops that provide residents with the opportunity to learn core financial literacy tools that enable them to take control of their finances by paying off debt, saving money, and building credit. During workshops and one-on-one coaching sessions, financial counselors review topics such as predatory lending, budgeting, and investing to promote economic mobility and self-sufficiency. For 21-year-old Far Rockaway resident Dennis Jackson Gray, the Youth Career Pathways program opened doors to career and educational opportunities that he may not have known about without coming to Urban Upbound. When Dennis enrolled in the program in early January, he was highly motivated and ready to get to work. Dennis worked closely with the Urban Upbound team to identify opportunities that would suit him, and his positive and energetic attitude set him up for success. In January 2018, Dennis was hired by Airway at JFK Airport at a customer service agent. On top of being gainfully employed, Dennis is working towards his degree in Business Management at the Borough of Manhattan Community College. 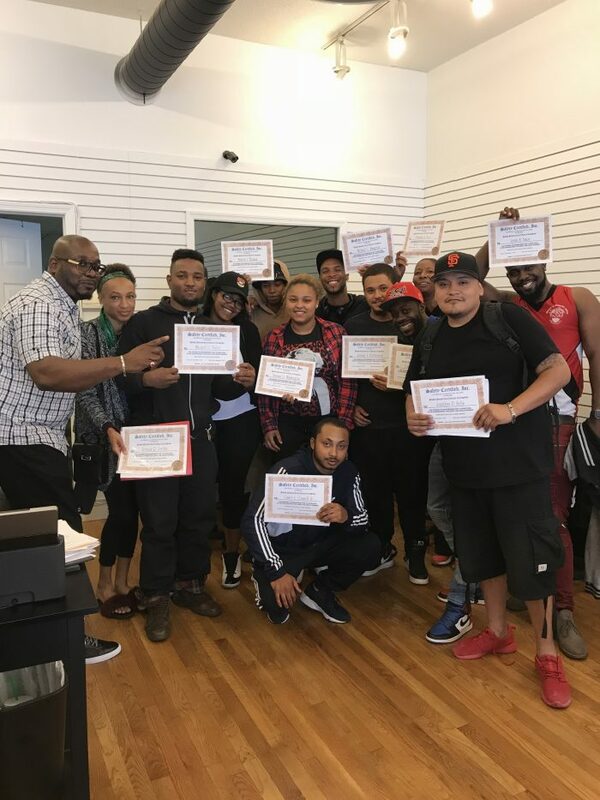 Urban Upbound is working to continuously expand its services and partnerships in Far Rockaway and beyond, ensuring that there are many more success stories like Dennis’ for years to come. For more information on Urban Upbound’s work in Far Rockaway and across New York City, visit their website at www.urbanupbound.org or contact the Far Rockaway office at 718-784-0877 ext. 358.